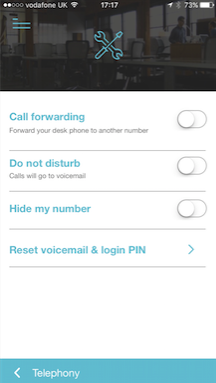 A user's PIN is used to access their Voicemail, and to log into a handset. If a user has forgotten their PIN number, or has been locked out of their voicemail after entering an incorrect PIN several times, it can be reset to their default PIN. PINs can be reset via the Telephone Manager page. 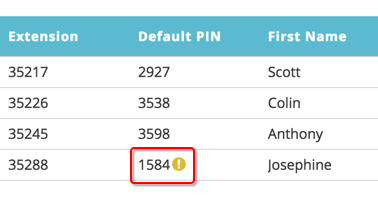 If a user has locked their PIN, an icon will appear next to their number. To reset their PIN back to their default, select this icon, and select 'Reset'. The user's PIN will now be restored to it's default value. You can also reset the PIN even when it has not been locked. Select the user for whom a PIN is required, select Features Setup and User Features. 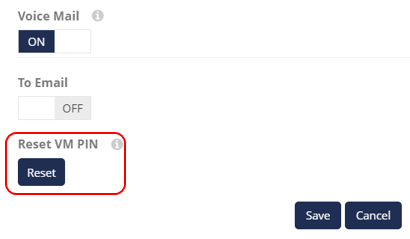 Select Reset VM PIN at the bottom of the page. 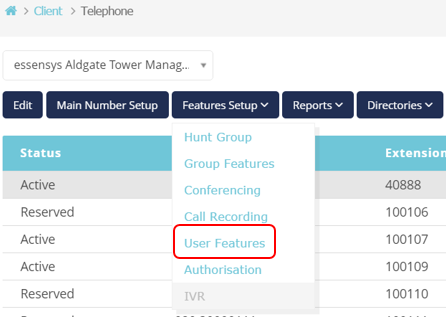 The user's PIN will be reset to the default that is displayed within Telephone Manager. Users can reset their own PINs using the Connect App. Once logged in, select Configure, and Reset Voicemail & login PIN. Select OK on the confirmation pop up. The PIN will be reset to the default displayed in Telephone Manager. The Connect app can also be used to log in to the handset without using a PIN, using the handset log in with QR Code feature. 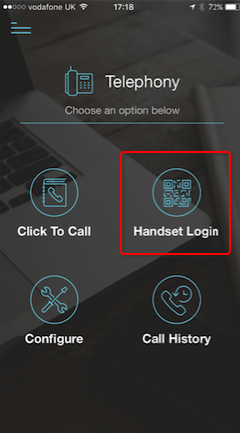 If the feature is enabled at your site, simply log into the app, select Handset Login, and scan the QR code on the handset using the device's camera.